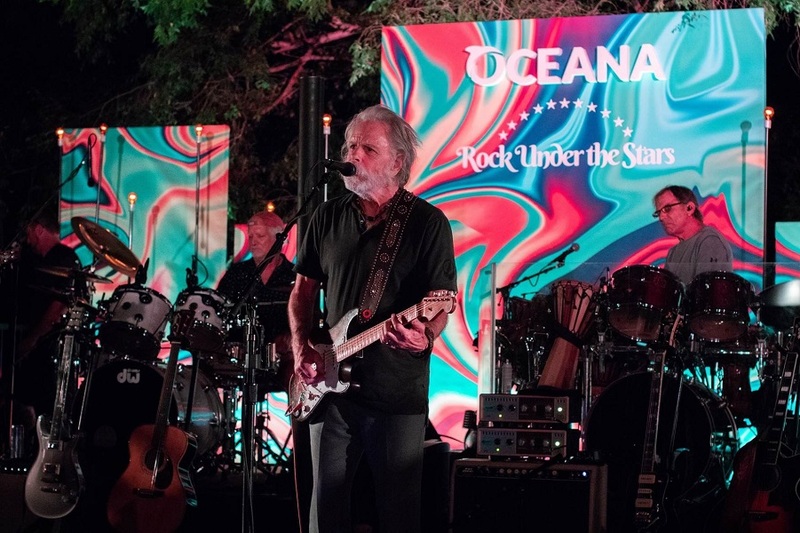 Dead & Company helped keep the oceans alive with a rare private performance on Sunday, July 8. 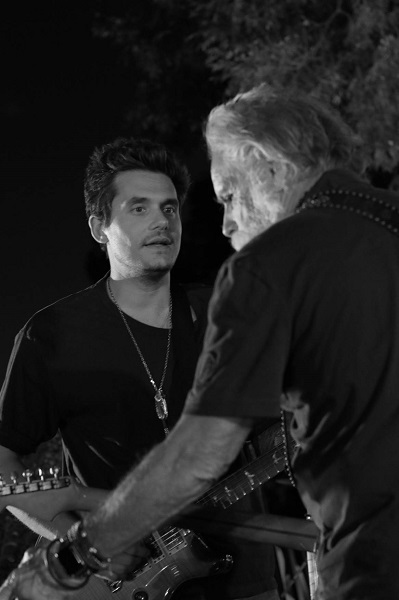 The band — comprised of former Grateful Dead members Mickey Hart, Bill Kreutzmann and Bob Weir, plus Oteil Burbridge, Jeff Chimenti and John Mayer — performed nine songs for an intimate 200-person charity concert at a private residence in the Hollywood Hills. Rock Under the Stars benefited Oceana by raising $1.1 million through donations and ticket sales that ranged from $2,500 to $50,000. Just one day after the Dead’s concert at Dodger Stadium, the group performed “Samson & Delilah” and “When I Paint My Masterpiece” for such guests as director Eli Roth, executive Tony Thomopulos, chef Vinny Dotolo, actor Ed Begley Jr., producer Roger Birnbaum, actress Kelly Lynch, actor Jeff Goldblum and actor Dean Norris. 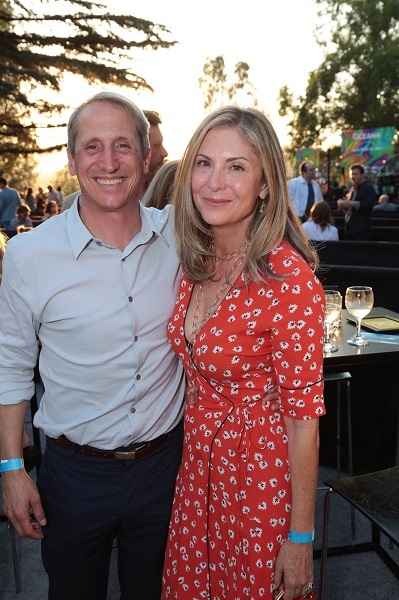 Other benefactors include CBS, Oceana Board Vice Chair Ted Danson and his actress wife Mary Steenburgen, with patrons Cheryl and Haim Saban. 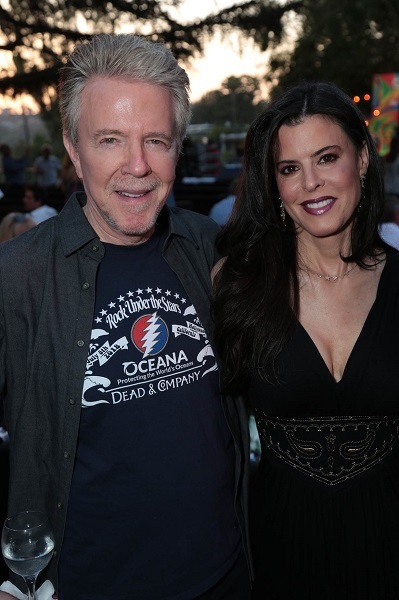 Industry Entertainment founder Keith Addis with wife Keri Selig hosted the concert at their home, telling the crowd he was only able to book Dead & Company thanks to their manager Bernie Cahill. Addis told The Hollywood Reporter he grew up in Southern California when the Grateful Dead was “in the air.” He attended college from 1968 to 1972 and went to concerts in New York every weekend. Now he's honored to have Dead & Company at the third annual summer Rock Under the Stars event, where previous acts have included Sting in 2016 and Don Henley last year. Addis and Oceana CEO Andrew Sharpless add that current threats to the oceans include plastic pollution, EPA leaders under the Trump administration, Congress working to weaken key environmental legislation like the Endangered Species Act and even the latest heat wave, which is indicative of climate change.